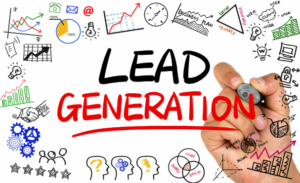 If you read wide about making money online, chances are you’ve come across the phrase, “lead generation” a good number of times. Well, that’s one of the hottest online business models right now. Informally called “lead gen”, lead generation simply involves attracting potential customers (leads) for businesses in return for some pay. In other words, your role in this business is to help other businesses (your clients) find potential customers that they can convert into actual buyers of their products or services. Although the lead gen business is all the rave in the developed world, it’s still little-known here in Nigeria. And that’s why you should consider hopping on its bandwagon as an early bird. 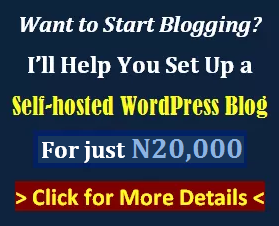 In this post, I’ll tell you all how the lead gen business works, and how you too can get started with this online business model that is still untapped here in Nigeria. 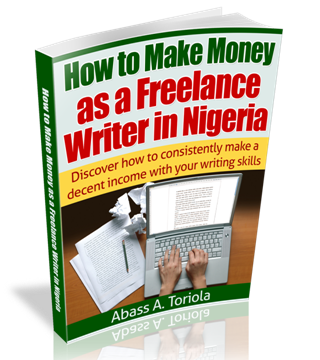 Figure out a lucrative product or service that Nigerians are searching the web for information about. Gather information on that product or service, especially information that potential buyers would be interested in. Set up an online mechanism or platform for attracting people who are interested in buying that product or service. Then strike a deal with a reputable company that offers the product or service you’re promoting. And finally, direct those potential customers to the company you already have a deal with. How exactly you make money from this model is up to you. Later, I’ll explain the various options you have. As with any other online business, your first step towards starting a successful lead generation business is to learn the ropes. That is, you need to understand the steps involved and how to take each step. And that’s exactly what I’m about to explain to explain here. Read on. By “lucrative”, I mean expensive and in high demand. Here, we’re talking about products and services that cost several thousands to millions of naira. Only high end offers like this can fetch you good returns from this online business model. More importantly, the product or service you’re looking to promote must be one that a lot of Nigerians are searching the web for information about. It doesn’t matter whether the business caters to other businesses (B2B) or directly to consumers (B2C). We all tend to have rough ideas of high-end products or services, so you really don’t have to do much trying to figure this out. Where you’ll need to be objective is the area of web search volume. That is, where you have to find out how many Nigerians are searching the web for information on the product or service you want to promote. This is where keyword research comes in handy. I have another post on keyword research, so I won’t be going into it here. In summary, the product or service you want to promote with your lead generation business setup must meet these three criteria: high-end in terms of cost per deal, high demand here in Nigeria, and good web search figures. Electronics like LED TVs, refrigerators, laptops, smartphones, washing machines, etc. Office equipment like photocopiers, office furniture, etc. Agricultural produce: crops, seeds, animals, etc. Travel services: visa application, flight booking, hotel reservations, etc. Rental services: luxury cars, heavy equipment, etc. Interior decoration, house finishing, etc. Building and construction services: roofing, electrification, plumbing, etc. The list is just endless. Just think of businesses that make a lot of money — and profit — from each sale of their product or service. Only such businesses can comfortably pay you a decent amount consistently for your promotional efforts. After deciding on the product or service you want to focus on, you need to research for more information on it. This is more than necessary if you really want to build credibility and convince potential customers to trust your recommendations. Start by assuming you’re the potential customer. If you’re looking to buy the same product or service that you want to offer, what are the questions you’re likely to ask? 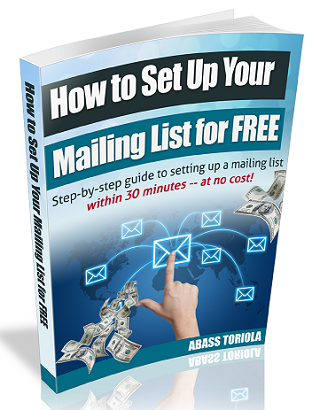 List out those questions and find detailed answers to them. To get authentic answers, you can either search the web or approach nearby companies offering the product or service. You also need to look beyond yourself because you might have missed some important details that matter to other consumers of that product or service. So, try to check Quora and Nairaland to see other important questions that people are asking about the product or service you intend promoting. What to expect after buying the product — maintenance procedures and costs, etc. What to expect from the service provider — installations, accessories, assurance, guarantees, etc. It goes without saying, but the list would vary for each product or service. These are just to give you rough ideas to build on. Your next step is to set up your own method for promoting your chosen product or service to potential buyers online. For this step, you have a good number of different options. And here are some of them. Simply set up a blog and load it with lots of information that will not only answer people’s questions about the product or service you’re promoting, but will also compel them to buy the product or service. The biggest advantage of this option is that it has the potential for generating traffic spontaneously through search engines. Another upside is that it puts you in total control of your content and efforts. If you’re very active on social media platforms like Facebook, Twitter, and Instagram, you can use those platforms to spread word of the product or service you’re promoting. Frequent salesy posts and updates won’t work. You need to provide valuable information about the offer. This will not only generate interest among potential buyers, but it will also position you as a credible source of information related to whatever you’re promoting. Forums are great platforms for reaching out to potential buyers of any product or service. A good example is Nigeria’s most popular forum, Nairaland, which has various sections and topics. All you have to do is visit the sections that are relevant to whatever you’re promoting, as chances are you’ll find potential buyers in these sections. You can also look out for niche forums that attract potential buyers of the offer you’re promoting. As with social media promotion, you’ll get better results from forums by sharing valuable information and being subtle with your marketing efforts. If you want faster results, then your best bet is go the way of paid ads. All the platforms mentioned so far have paid advertising options. 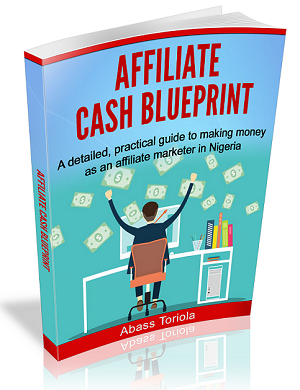 That is, you can run paid ads on Google, Facebook, or Nairaland. The ads are strategically positioned for maximum reach and user engagement, so, you’ll quickly attract potential customers. It goes without saying, though, but running ads cost money. So, before going for this option, you want to be sure that your returns will cover for the cost of ads and still leave you with decent profit. Regardless of which option you choose, you must put up a clear-cut call to action (“click here to learn more”, “call us now”, etc.) and channels through which potential customers can reach you. In addition, keep a record of enquiries by potential customers, as you’ll need this record to convince companies that you can truly send them customers if they pay you. Look for a reputable company that offers that product or service. The closer you are to the company you want to work with, the better for you. So, start by considering suitable companies in your vicinity or those owned or managed by your relatives or close friends. This is because you’ll need to provide certain details when promoting the products or services. And only businesses you’re close to can provide you with those details, such as product photos, specs, pricing, and so on. In fact, this step can come earlier if you need some information that you can only get correctly from the company. Once you’ve found one or few companies that tick all your checkboxes, contact them through their most active communication channels. Introduce yourself and tell them that you can send them potential customers consistently, showing your record of enquiries as proof. After the company has agreed to work with you, you can ask them to pay a fixed monthly fee or a specified amount per lead. For convenience and other advantages, choose the monthly payment option. How much you’ll charge any company depends on how expensive their product or services are. A company that makes a profit of over N200,000 per customer can comfortably pay you that amount per month if they can get 10 or more customers monthly through your channel. The company you’re working with is now your “client”. You can stick with just one client or more, depending on how you structure your promotional platform, and on how many different products or services you’re promoting. To start sending potential buyers to your client, you’ll have to channel all customer enquiries to the company directly. That is, your phone number, email, or social media inboxes would have to be changed to those of the company. Marketing is what every business thrives on, and any company would readily pay you generously for send potential customers their way — especially those that convert into long-term customers. Starting a lead gen platform is one of the smartest ways to cash in on this reality. Note that at no point did I state that this is one easy business. Like any other online business, it won’t be very easy, especially from the start. But if you play your cards right and are determined to succeed, you sure will. If this idea sounds cool and alluring to you, why not give it a shot? If you have any questions, objections, or other contributions, share your thoughts by leaving a comment.